"8 million tons of plastic leak into the ocean each year...once there it joins the 150 million tons of plastic already floating at sea. It is estimated by 2025, the world's oceans will contain one pound of plastic for every three pounds of fish." To learn more about the infiltration of plastics on our beaches and in the oceans and how you can help make a difference, here's an article you need to read. January is Get Organized Month, why not take advantage of this celebration to launch your home and lifestyle transformation? Remove the frustrations, overwhelm, embarrassment, and disorder from your life. Today is the day, now is the time to manifest the productivity and comfort you desire. 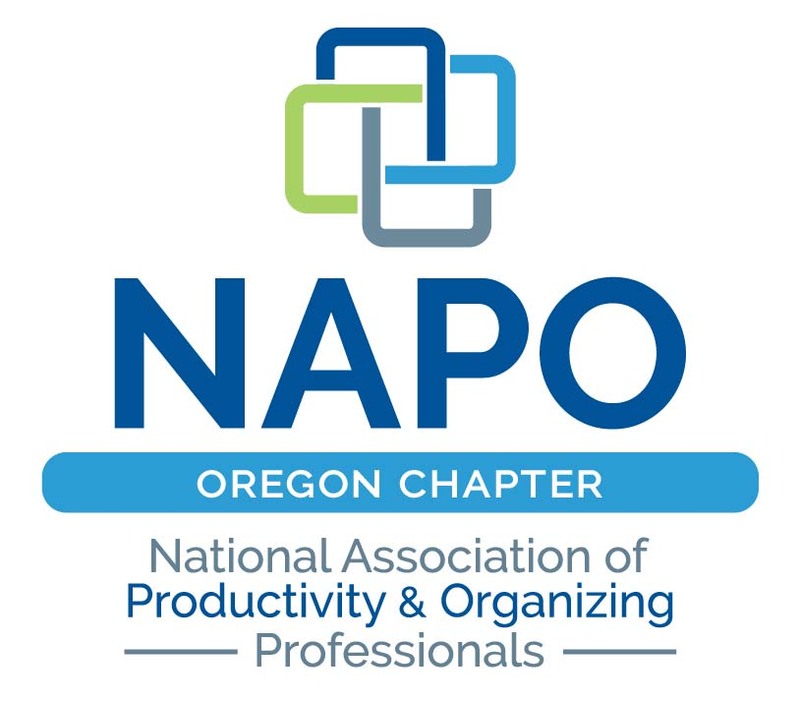 National Association of Professional Organizers are available to guide you along the way. 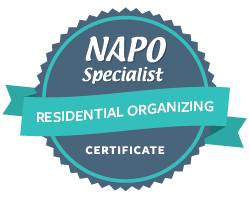 For more information, contact The Practical Sort Eco-Organizing Solutions at thepracticalsort.com or sherri@thepracticalsort.com to get started. Considering a move? Thinking about listing your home on the market? There are numerous steps involved in planning and executing a successful, low stress move particularly if your relocation is out of state. Check out The Practical Sort's handy checklists for move preparation and tips for enhancing your home's curb appeal for faster, higher priced sales. Need some tips to prepare for travel quickly and more efficiently? Check out The Practical Sort's packing tips for ensuring that your next trip prep is a breeze. How do you simplify and organize your kitchen and meal planning in light of food sensitivities? Below are a few steps to make the process more palatable for you and others in your household to alleviate some of the stress. When you decide that the time is right for you to make a change in your surroundings and embark on an organizing project whether physical or time management, in your home or at work, etc. keep in mind that the process is a fluid one. I believe that one of the most critical steps in getting and staying organized is the reevaluation stage. Your life changes, your lifestyle may fluctuate, products that you use today you may no longer use in a few weeks or months. That old appliance taking up space on your counter top may no longer serve your purposes or the remaining prescription drugs in the medicine cabinet may no longer be indicated or have expired. It is time to reassess. In my own home, I continuously monitor placement of items. My kitchen is one area that probably sees the most frequent rearrangement. As cooking and baking needs change or you purchase a new gadget, go ahead and move stuff to enable easier workflow. Relegate items no longer or less frequently used to more remote storage areas, donate if still usable, or toss if broken and not fixable. The same tends to be true with ingredients. Store less used products at the back of cupboards or those hard to reach cabinets so that their often used brethren are within easier reach. Clothes closets are another area that should receive frequent scrutiny. The point of this is that nothing is set in stone. This helps to relieve any stress related to "what if I don't like where I relocated my recycling bin", "now that I can retrieve my bill file quicker, my paper supply is further away," "I don't wear that dress often, but I don't want to let it go," etc. Sometimes we have to respect the limitations of confined spaces, locations of outlets if your budget prohibits electrical work, or preexisting cabinetry and counters if once again renovation is not in the cards, but that does not stop creativity and cleverness in redesigning work spaces or clearing areas for your mediation exercises. Off-site storage is an option budget permitting for those rarely used goods, but too precious to let go. As personal relationships continue to evolve so will your relationship with the new order in your life to ensure that it works best for you and your family. Do you need assistance creating a new relationship, contact the Practical Sort at www.thepracticalsort.com.